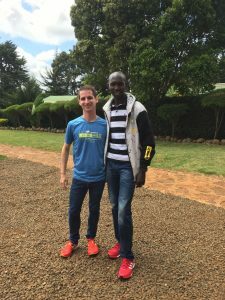 A bit tired and excited, I settled into my room at the High Altitude Training Centre in Iten. I walked outside to explore the compound. 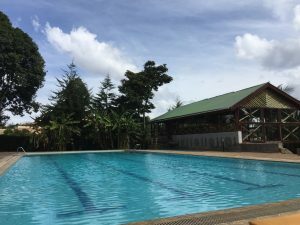 I heard the powerful subwoofers projecting music from the gym, saw the lounge and swimming pool straight across from me and wondered, “Where is the cafeteria? It’s lunchtime.” I turned to my left and saw another building past a wall of shrubs. People would come and go. “Surely, they must serve lunch on the other side,” I thought. 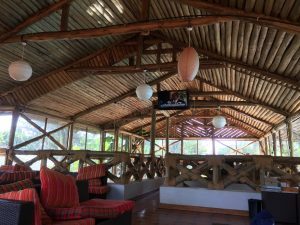 As we walked up the steps, we entered the building on the other side. Lunchtime was almost over, but some food remained in the form of rice and beans. After eating I needed to take a picture for an article coming out in the New York Post on my philosophy towards fitness. Pictures of running in the urban jungle would meet the editor’s needs, but I thought the home of champions would have been more appropriate. They agreed. Following the photos, I met more athletes staying at the camp. Some were part of my group, but others were staying there for longer (up to a few months) in hopes of achieving a new personal best. I met our guide Songok outside. “Do you want to go for a run,” he asked. 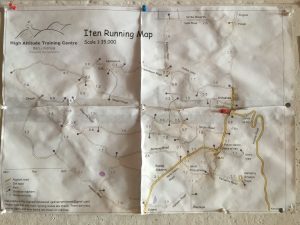 I grabbed my Garmin smartwatch and walked down to the gym to see all the running routes in Iten. I decided to run on Kapkoi Road. 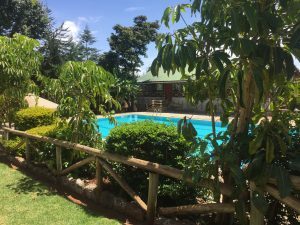 Along my way I would pass former world record holder Wilson Kipsang’s resort as well as the famous Kamariny track. While running I kept hearing sounds: Howareyou? Howareyou? The children smiled and waved. If I moved slower they most likely would have joined me. 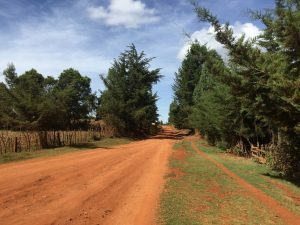 After finishing six kilometers of easy running I headed back to the camp. 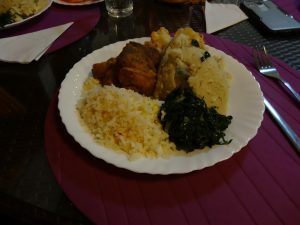 Dinnertime arrived in the form of a buffet consisting of ugali, greens, chicken and rice. Dessert always consisted of 1 out of 3 fruits: watermelon, pineapple or mango. 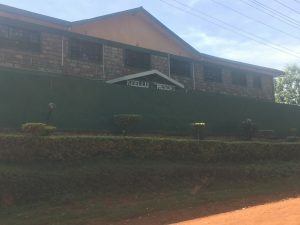 Ugali, the staple food in a Kenyan diet, could have easily been served morning, noon and night. 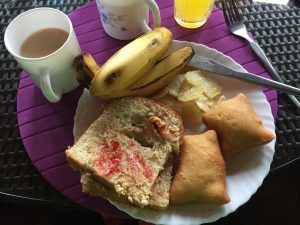 Although I had to acquire the taste for this starchy food, it fueled my runs through the backroads of Iten. Much like the injera from Ethiopia, ugali is commonplace in Kenya. 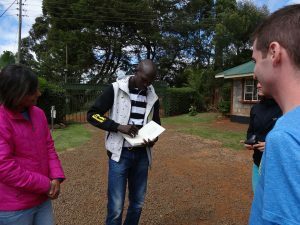 Plenty will say, “You can’t do a long run without ugali.” Afterwards, I grabbed my itinerary and met with the rest of the group. We would run St. Patrick’s loop at 6:30 am the next day. 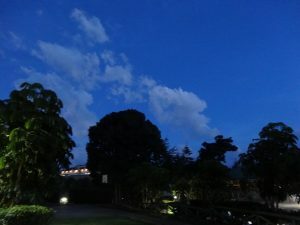 Still on New York time, I woke up to the sounds of a rooster crowing and a dog barking in ostinato at 4:20 in the morning. 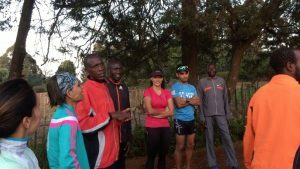 Excited to meet other Kenyan runners, I slept on and off until 6 am. We met outside the entrance to meet our guide runners. Here, they gave my wife a new name: Jebet (Cherbrale is too hard to say in Swahili). After discussing the route, we took off towards town. We passed the famous St. Patrick’s High School and Mary Keitany’s home (Mary had just completed her three-peat victory of the NYC Marathon). 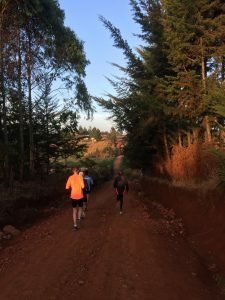 Running in Iten reminded me of running in Central Park, only with red dirt, rural and surrounded by sub 2:10 marathoners completing their workouts for the day. 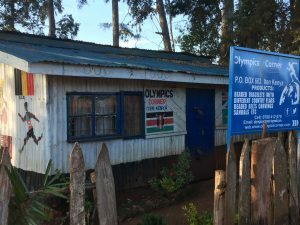 After running, we stretched very casually (the Kenyan way) by Olympics Corner and walked back for breakfast.